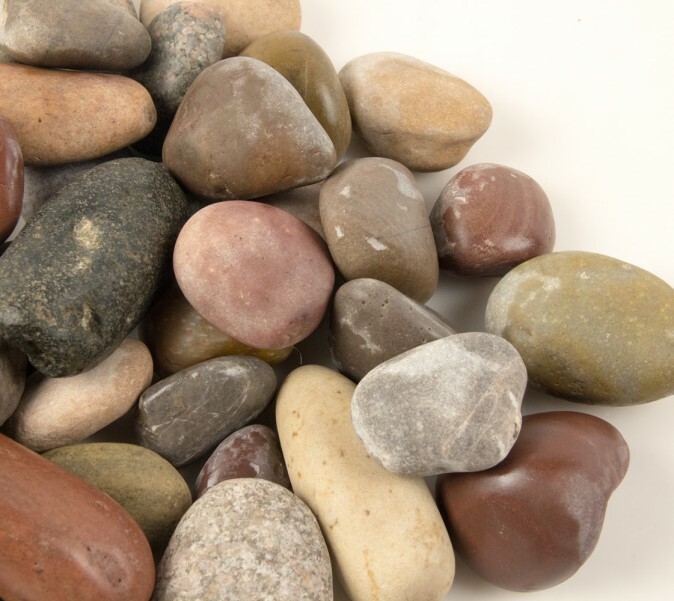 Characteristics: River rock nuggets are a round smooth washed rock with 5 natural color variations ranging from greys, greens, brown tones, reds and purple shades. 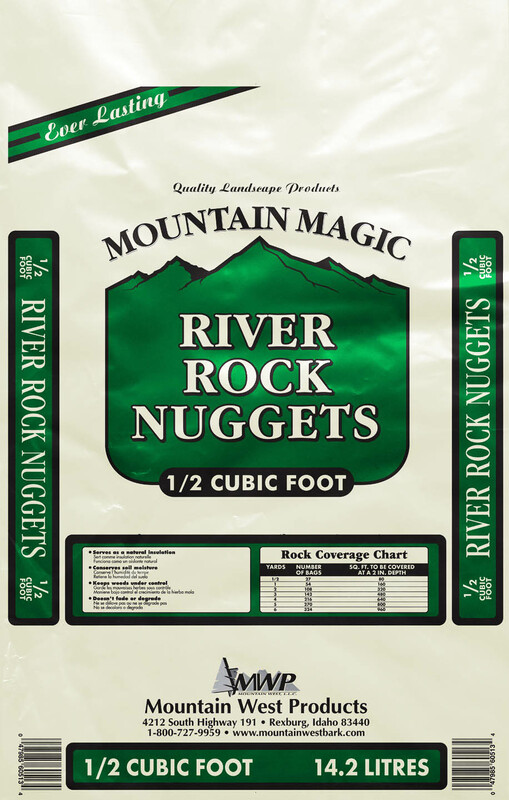 Mountain West Bark Products River Rock Nuggets is an all-natural product derived from the Glacier beds of the Snake River plains. Our River rock is extracted from the ground and professionally screened and washed. River Rock nuggets is commonly used as decorative Landscape rock to enhance and beatify homes and business. It is also used in rock walls, water features and ponds.